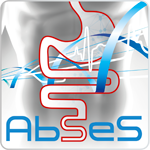 AbSeS (Abdominal Sepsis Study: Epidemiology of Etiology and Outcome) is a multinational, prospective, observational study on intra-abdominal infections (IAIs) in critically ill patients with a special emphasis on epidemiology and outcomes. To describe physician’s antimicrobial prescription patterns related to a classification grid that stratifies IAIs according to disease expression, community or healthcare origin, and anatomical disruption. Data collection began on 1st January and will be completed on 31 December 2016. A basic dataset is collected on all consecutive, adult ICU patients diagnosed with IAI (either as a primary diagnosis or as a complication during the ICU course) during a 6 months period and with a maximum of 15 cases per unit. Field: Post-sepsis onset evaluations are planned at 72 hrs (change in disease severity), at 7 days (necessity for surgical revision), and at 28 days (survival status). National coordinators will obtain IRB approval for their centres. Each site investigator is responsible for his own data and may request an export of this data after the database is locked. The request should be addressed to the Principal Investigator. No. Participation in the trial is completely voluntary. This study will provide important data on intra-abdominal infections. Results from the trial will be published by the AbSeS nominated writing Committee. All National Coordinators (NC) will have their efforts recognised by being listed in the paper. Due to the potential high number of centres that we hope will include patients, we have to limit to two names of local collaborators (the lead investigator and the co-investigator). Along with the national coordinators, they will be acknowledged as collaborators in the authorship of the paper and as such, listed in Pubmed. If you have additional questions regarding AbSeS, please contact abses@esicm.org. 2015-11-06 – AbSeS: Join more than 250 centres already registered! For more information, please contact AbSeS@esicm.org.